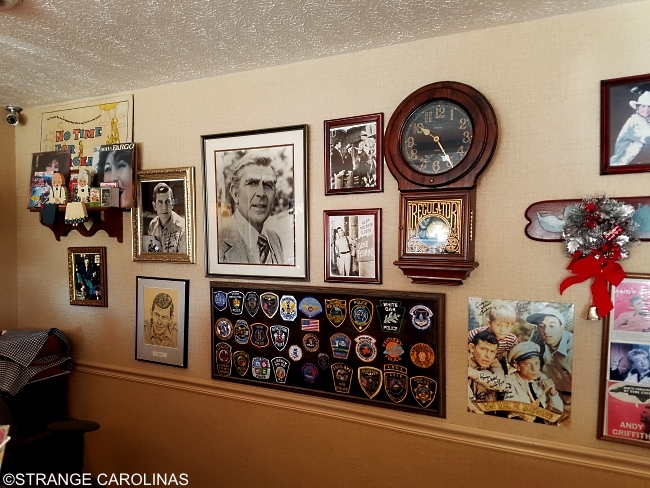 You can find the Mayberry Motor Inn right in the heart of Mount Airy on the Andy Griffith Parkway. 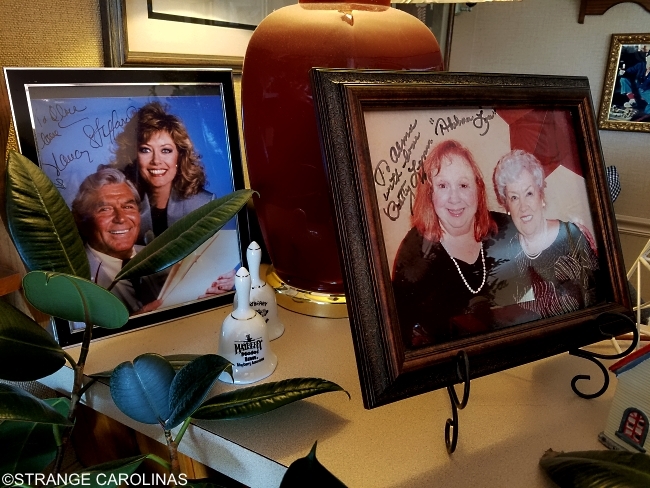 The inn is owned by Alma Venable and has been in her family for fifty years. 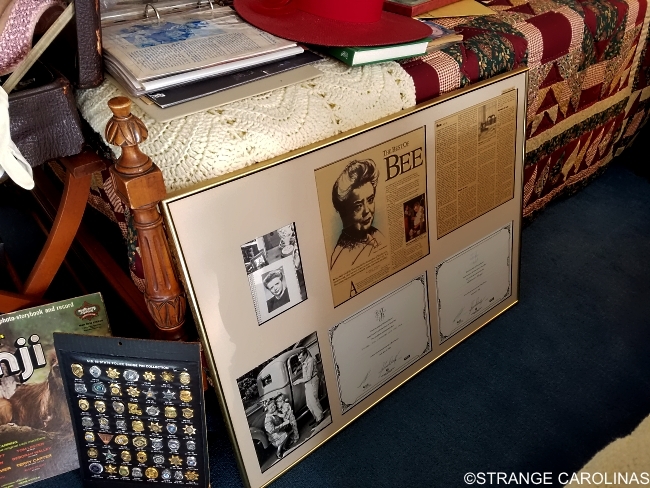 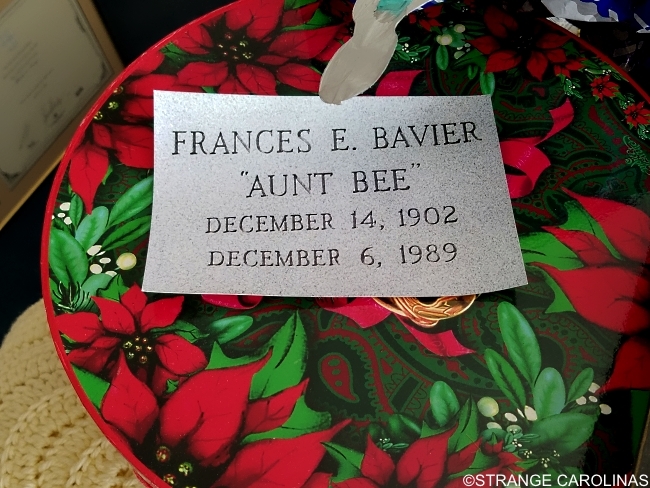 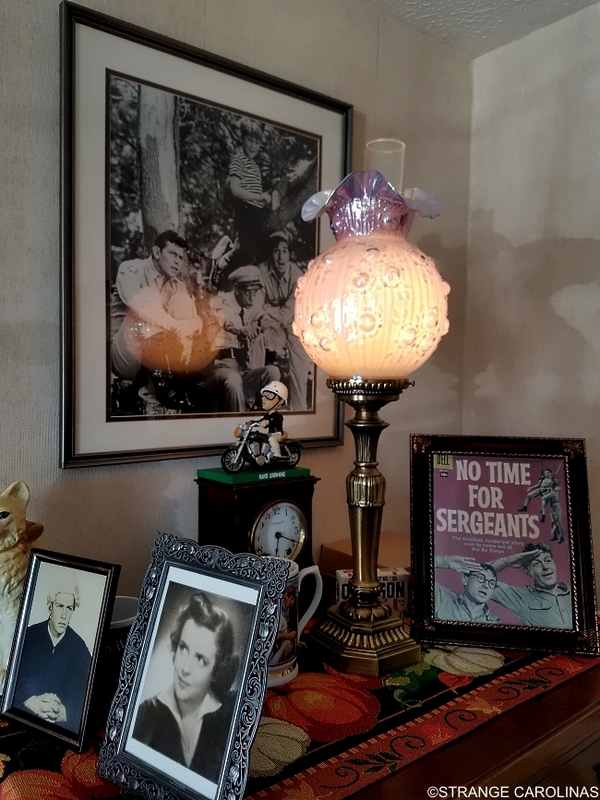 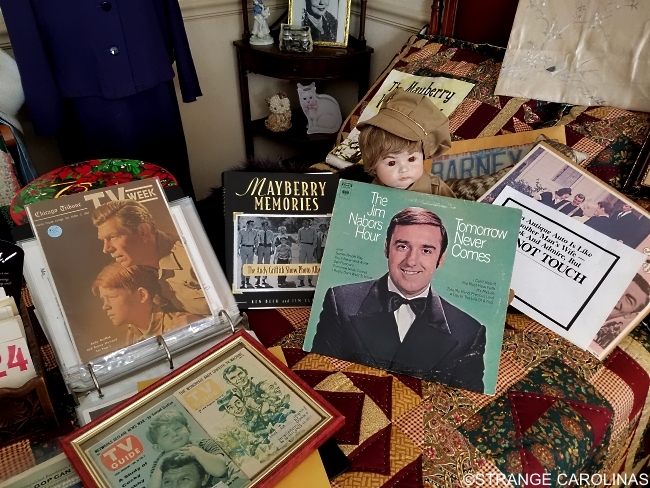 But what sets the inn apart from others is that it has a room full of memorabilia that once belonged to Francis Bavier, who played Aunt Bee on The Andy Griffith Show. 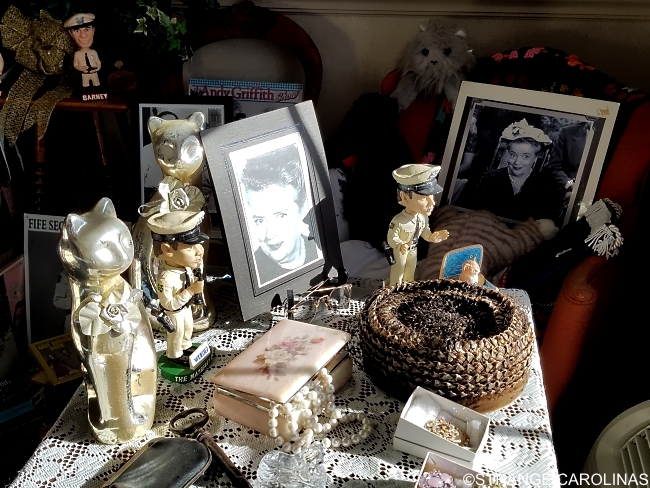 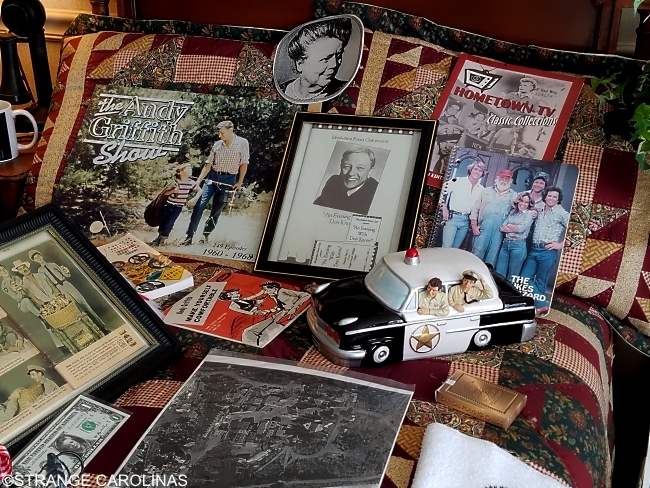 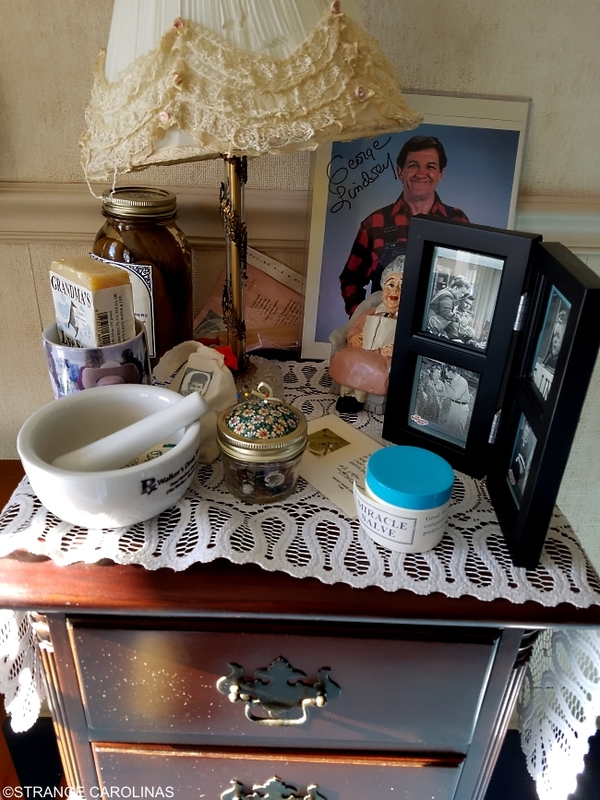 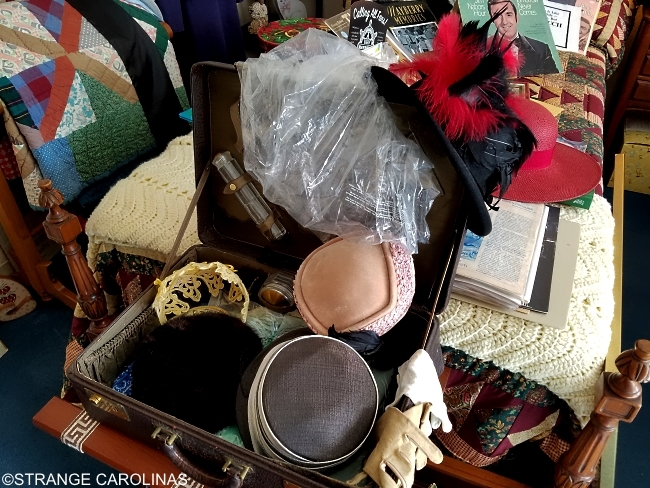 Venable, who was once the hairdresser for Andy Griffith's mother, acquired the memorabilia from a Siler City estate sale held after Bavier's death. 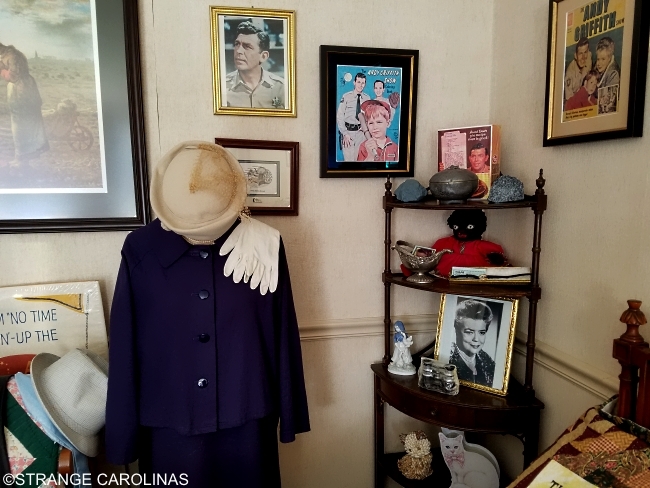 The room hosts an impressive collection of memorabilia from The Andy Griffith Show. 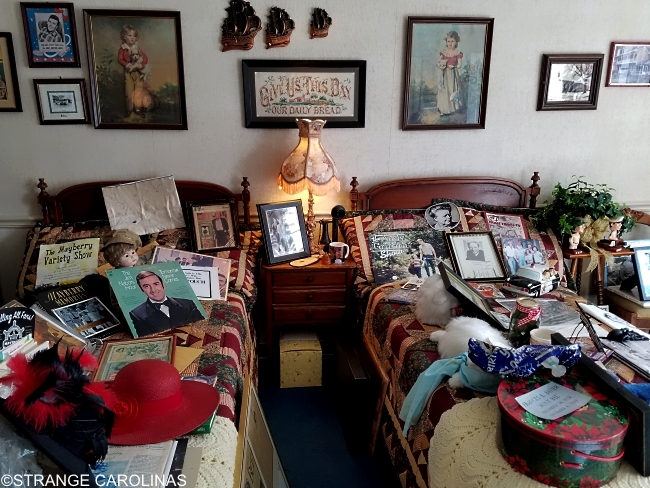 and even the twin beds that make up most of the room. 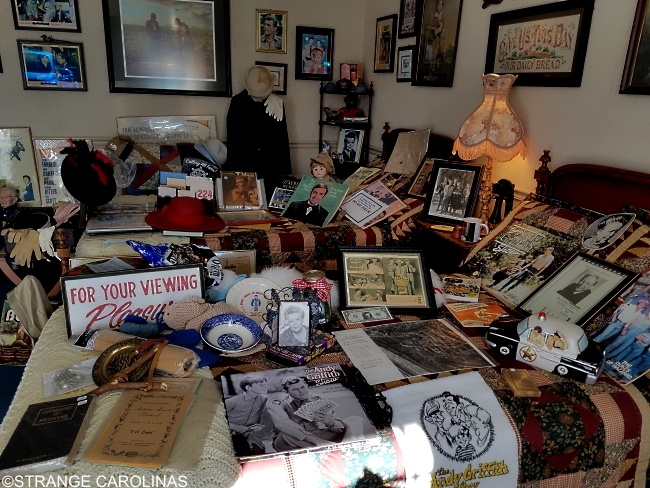 We were fortunate enough to be given a tour of the room by Venable's grandson, Jeremy Snow. 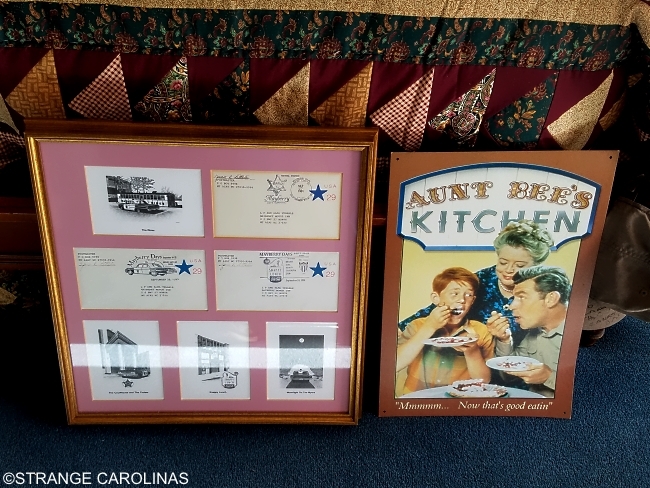 including autographed photos from Andy Griffith and Betty Lynn, who portrayed Barney Fife's girlfriend Thelma Lou on the show. 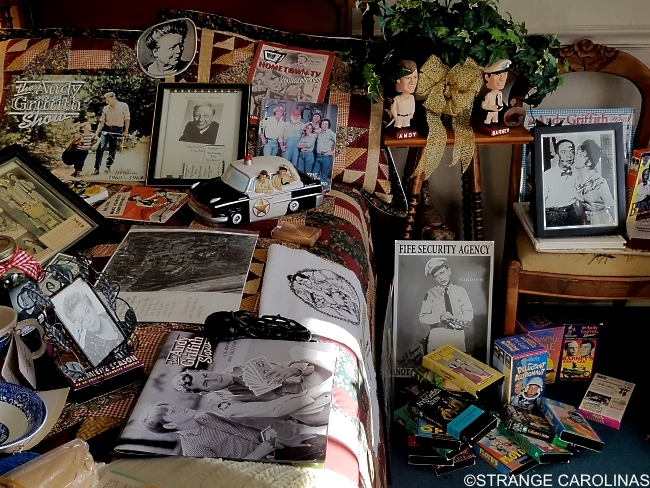 Looking for a souvenir t-shirt? 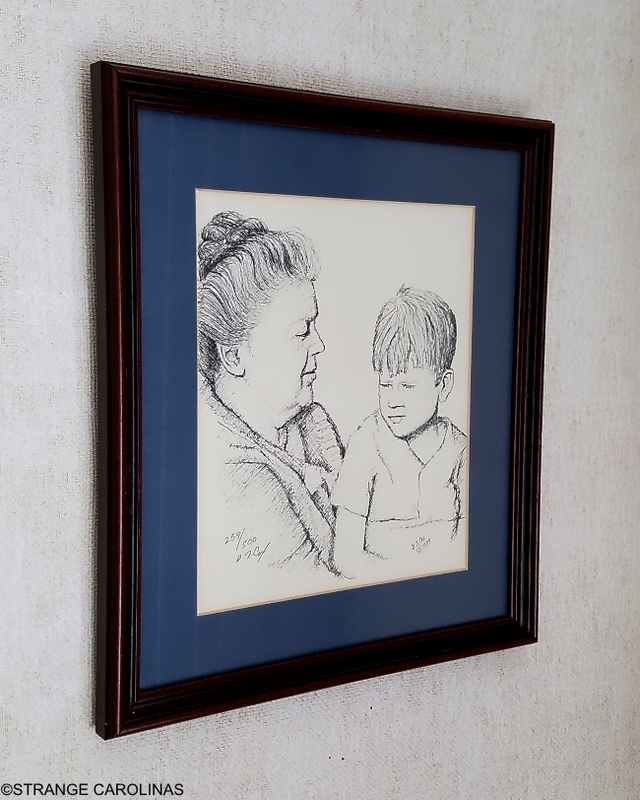 They've got you covered. 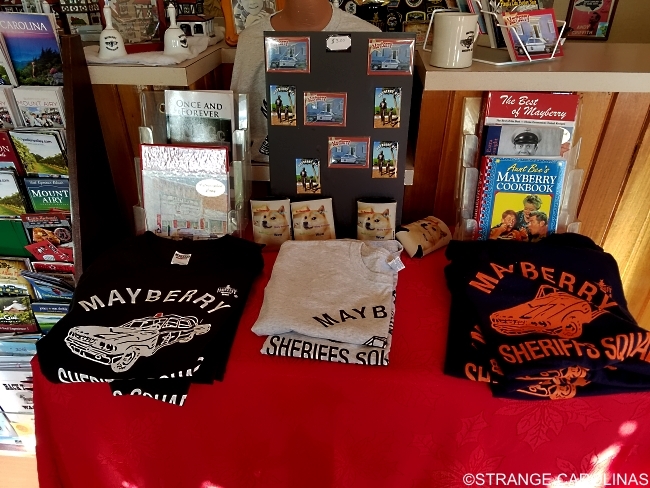 And they even have a Mayberry squad car in the parking lot!